Your 2 Minute Exercise of the Day! It's that time of the day again! Time for your 2 minute exercise of the day :) Once you start incorporating exercising into your daily routine, not only will it become second nature but we promise you will feel better & look better too. DONE! 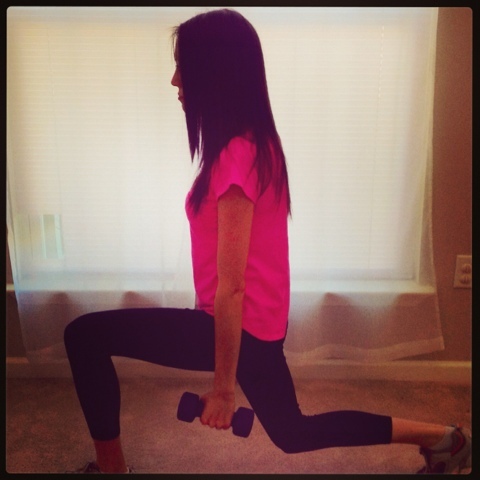 While our 2 minute exercises of the day are not enough to see big results, it's a GREAT start! And pair that with healthy eating (AKA cooking I Don't Go to the Gym recipes) & exercising in your everyday life and you have a winning combination. Feeling motivated now? Get an extra leg workout today by walking up and down the stairs twice every time you head up or down. Better yet? Work towards doing this everyday!